Exercise in Futility, but Doing It Anyway! Well… I say I’m going to do it, but I’m not really motivated, to be honest. Potty train Gracie, that is. Let’s face it, folks. It’s been thirteen years. If Gracie hasn’t caught on by now, what makes anyone think things will change? 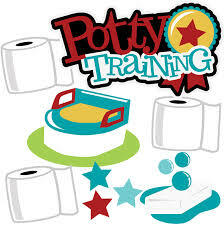 A few weeks ago my parents were talking to Kristine and I about potty training. I didn’t want to hear it, but sometimes we need others to push us a little, even though we might not like it. I know people have good intentions, but what frustrates me is that talk is easy. Actually doing it is a completely different story. I go from being annoyed by my parents (Mom and Dad, I love you, sorry), to suddenly being struck by inspiration. “We’re going to do this,” I say to myself. We’re going to chart the times she does the #1 and #2, to see if Gracie has a pattern. We’re going to take her to the bathroom every 20 minutes and sit her on the toilet. We’re going to teach her how to pull her pants down, and so on. I talk about these things with Kristine, but she doesn’t seem very enthused. It’s simply easier for Kristine to just change Gracie’s diaper without all the fuss. But I’m stubborn. As the day is long. I even surprise myself how much I can be this way. It’s like a character flaw of mine, I guess. I know I’m that way, and know I should let some things go, but I just can’t . I want to, but I can’t. Sure, I get discouraged. Really discouraged. But I keep putting one foot in front of the other, once I set my mind to something. So I badger Kristine a little about how we need to teach Gracie how to pull her pants down, and then up. That would be a good first step, right? How we need to chart her wee and poo times, etc. So I begin using ABA (Applied Behavioral Analysis) techniques, hand-over-hand prompts, and verbal prompts to help Gracie through all the required bathroom tasks. I don’t think Kristine is on the bandwagon yet, but I’m hopeful she’ll rise to the occasion. Us normal people take so many things for granted. When it comes to teaching autistic people how to do something, every single task has to be broken down for them. Every, single, task. I thought to myself, “Pulling pants down? No problem.” But then Gracie’s teacher wants her to wear a belt. That just made everything more complicated! “Obstacles are challenges,” I say to myself. Bring it. “Gracie, undo your belt buckle. No, you can’t pull on the end without first pulling it out of there (the metal hoop that keeps the belt end tucked in against your waist). Okay, now you can pull on it.” I take her hand and direct it to the pin that is now out of the belt hole, and have her move it away from the hole. “Okay, undo your button.” She tries to simply push her pants down, diaper and all. “No, Gracie, undo your button.” I take her hands and show her how to undo her button. “Okay, unzip your pants.” Gracie has this part down pat. Awesome! So I go to check on Gracie (who should be sleeping at this moment, but isn’t, of course), and she’s done the #2. While changing her, she’s flailing her arms and legs, being all spastic, and I’m trying to keep her from making a mess of things. I manage to block and move inside a kick to my head. Fortunately, the blow was only a glancing one. Managed to keep the bedclothes from getting soiled. Yay! Okay, I got a tiny bit of poop on them, but I wiped it up. Just didnt’ feel like stripping the comforter tonight, okay? I’ll do it in the morning. After the diaper change, now we have to do everything in reverse. “Okay, you do it, Gracie. Put your pants on.” She puts both legs through one side of her pants, and tries to pull them up. “No… take them off. Here, hold onto your pants.” I have to take her fingers and fold them over the waistband of her pants, to show her that I need her to hold her pants. “Okay, now put them on. I know you can do it right.” She gives me her silly grin, drops her pants, and does a beautiful, reverse swan dive onto her bed. I bust out laughing, and Gracie laughs with me. “Let’s try this again.” She lays down on her bed, puts her legs straight up into the air, and manages to put her legs through the right places in her pants. Not the way I wanted her to do it, but whatever. She then stands and pulls her pants up. But most of the waistband rolled up as she pulled her pants up. I have to show her how to fix her waistband, and we haven’t even gotten to her zipper, the button, and the belt. Oh, and I forgot about having to teach her to wipe herself, thanks to a good friend reminding me of this. That will be interesting. Jeez, this isn’t going to be easy, and it may never work. Some people think if you can train a dog to do his business outside, then training a person shouldn’t be much harder, right? My daughter isn’t a dog. She’s a person with a complex brain disorder, characterized by difficulties in social interaction, communication, and repetitive behaviors. Besides, Fido doesn’t have to contend with pants, belts, buttons, zippers, and all that. I remember reading that an average dog has the intelligence of a normal 3-year old child, which is very smart, if you ask me. Gracie’s cognitive function is closer to that of an infant. Finally, a shout out to the Autism Daddy blog. I know how you feel, man. This entry was posted in Issues and tagged ABA, Applied Behavioral Analysis, autism, Autism Daddy, potty training, potty training autistic child, toilet training autistic children. Bookmark the permalink.